Celebrate any occasion with our new arrival Maria. 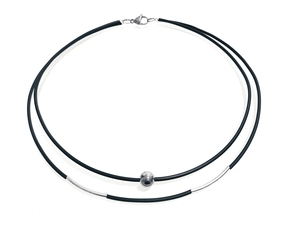 Hancrafted with recycled rubber, silver and plated Hematite. A stunning treasure in your jewellery box.